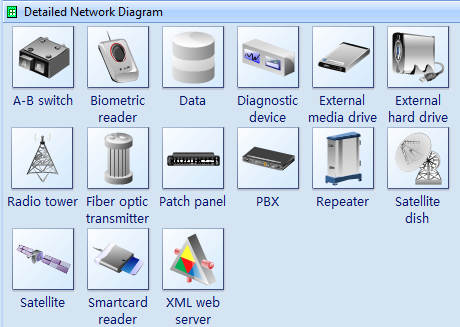 Click here to free download Detail Network Diagram Software. Then you can use the built-in templates to create and present your detailed network diagrams in minutes. Edraw Network Diagram is ideal for network engineers and network designers who need to draw detail network diagrams. 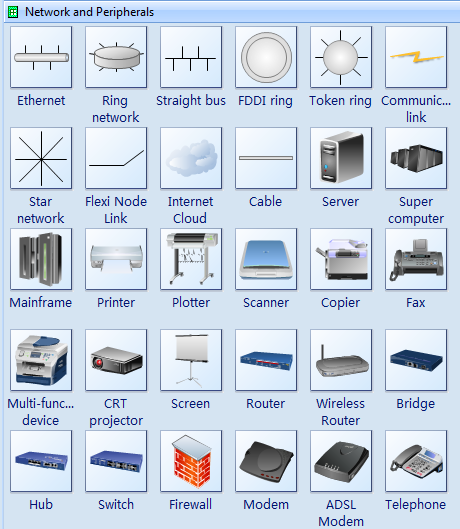 It had defined some commonly used network devices in drawing network diagrams. Just drag and drop pre-drawn shapes representing computers and network devices. 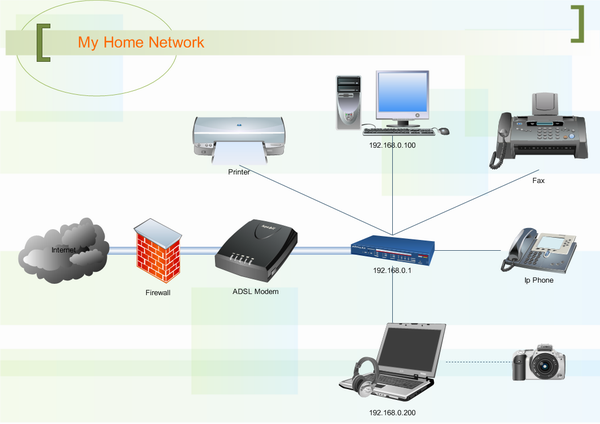 The Detailed Network Diagram template is an extension of the Basic Network Diagram templates. You use the Basic Network Diagram template to create an overview of complex networks; the Detailed Network Diagram template helps you create a machine-by-machine view of the network. For example, instead of simply saying that a particular machine acts as a server, you'd use a special symbol that signifies the server type, such as an FTP server. The detailed network Diagram will be used to represent how your network connections are using the upper layer of the OSI, and will help you to understand your IP address.